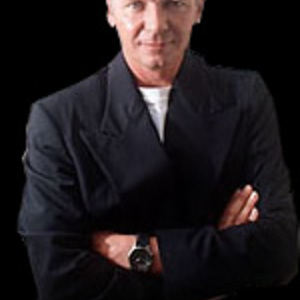 Iva Arthur Davies (born 22 May 1954 in Wauchope, New South Wales, Australia) is the frontman for Australian electro/new wave/rock band Icehouse (formerly known as Flowers). Davies has worked with such notable musicians as David Bowie, Brian Eno, Bryan Ferry and Roxy Music, Yukihiro Takahashi, John Oates, Elvis Costello, Simple Minds, Peter Tosh, Robert Palmer, XTC, The Psychedelic Furs, and many more. Davies has worked with such notable musicians as David Bowie, Brian Eno, Bryan Ferry and Roxy Music, Yukihiro Takahashi, John Oates, Elvis Costello, Simple Minds, Peter Tosh, Robert Palmer, XTC, The Psychedelic Furs, and many more. In late 1977, Iva Davies, a former oboe and composition student at the New South Wales Conservatorium of Music joined with bass guitar player Keith Welsh to form a band called Flowers. In 1979 Davies re-established an old friendship with Cameron Allan, the director of Sydney-based independent label Regular Records. In 1985 Davies and fellow Icehouse member Bob Kretschmer worked on the ballet Boxes with the Sydney Dance Company. In addition to scoring the ballet, they also co-wrote the script with Graeme Murphy. Boxes opened at the Sydney Opera House in December, and Davies performed in an acting/singing/dancing role to sold-out crowds for three weeks straight. 1985 also saw Davies win an APRA Music Award for "Most Performed Australasian Music For Film" for the Theme From Razorback. In 1988, Davies and co-collaborator John Oates won an APRA Music Award for the Icehouse song Electric Blue (from the Man Of Colours album) in the "Most Performed Australasian Popular Work" category. In the 1990s, the Sydney Dance Company worked on creating a ballet which became Berlin. As well as recording the score to the ballet, Davies performed these songs live with Icehouse at each show. He was an intrinsic part of the ballet, in a role similar to the one in he played in Boxes. Iva was successful in creating a translation from the dancers to the audience. Berlin was an instant success and ran for two seasons. Boxes and Berlin are two of the most successful shows that the Sydney Dance Company has had to date. In 2003, Davies traveled to Los Angeles to record the soundtrack to the Peter Weir film Master and Commander: The Far Side of the World with Christopher Gordon and Richard Tognetti. Together, they won the 2004 APRA/AGSC Screen Music Award in the "Best Soundtrack Album" category. In 2005 Davies scored the mini-series The Incredible Journey of Mary Bryant. On 6 November 2006, he won the 2006 APRA/AGSC Screen Music Award in the "Best Music for a Mini-Series or Telemovie" category.